Yokogawa DTM for third party frame application user, containing the device DTM's for Yokogawa's ISA100 field devices. (1) This DTM download package can be used for third party FDT 1.2 or FDT 2.0 compliant frame applications. For detail, refer to ReadMe.txt inside the package. (2) For the user who has no frame application, evaluate Yokogawa's Device Management Tool FieldMate by installing FieldMate Lite. Then download this DTM download package. To purchase a FieldMate license, please contact your local Yokogawa representative. The FieldMate database is maintained when the purchased license key is installed later. (3) For Yokogawa FieldMate user and PRM user, download Device Files corresponding to “FieldMate/PRM/Device Files User site” in Yokogawa Partner Portal. The high performance wireless differential pressure transmitter EJX110B features a single crystal silicon resonant sensor and is suitable to measure liquid, gas, or steam flow as well as liquid level, density, and pressure. Wireless diaphragm seals are used to prevent process medium from entering directly into the pressure-sensing assembly of the differential pressure and pressure transmitters, they are connected to the transmitter using capillaries filled with fill fluid. The high performance wireless flange mounted differential pressure transmitter EJX210B features a single crystal silicon resonant sensor and is suitable to measure levels of densities of solidifying or precipitating liquids. 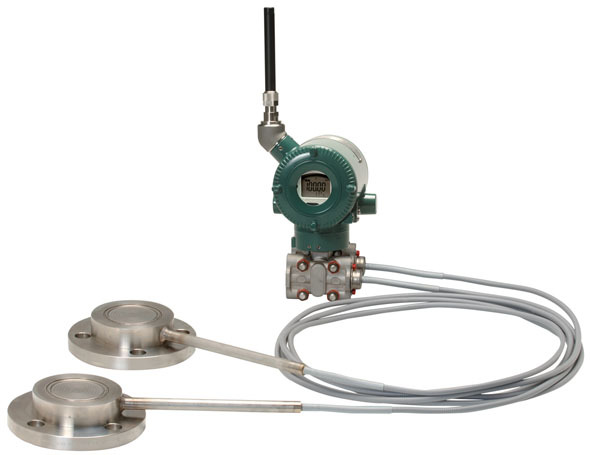 The high performance wireless pressure transmitter EJX310B features a single crystal silicon resonant sensor and are suitable to measure liquid, gas, or steam flow as well as liquid level, density, and pressure. The high performance wireless guage pressure transmitter EJX430B features a single crystal silicon resonant sensor and are suitable to measure liquid, gas, or steam flow as well as liquid level, density, and pressure. FN110 supports 2 device role; a field wireless device and a field wireless gateway. When utilizing with “Field Wireless Multi-Protocol Module FN310” or “Field Wireless Multi-Function Module FN510”, this product is connectable with a field wireless network as a field wireless device. When utilzing with “Interface Adapter LN90”, this product acts as a field wireless gateway. Field Wireless Multi-Function Module with “Field Wireless Communication Module FN110” is connectable with a field wireless network as a field wireless device. This product acquires sensor data from a connected sensor and transmits it to a field wireless network through FN110. Refer to General Specifications of “Field Wireless Communication Module FN110” for an overview and detailed information. The high performance temperature transmitter YTA510 accepts Thermocouple, RTD, ohms or DC mill volt inputs. The transmitters transmit not only process variables but also the setting parameters using wireless signal. The transmitters run on internal batteries, and the installation cost can be decreased since hard-wiring is not required. The communication is based on ISA100.11a protocol specifications. Yokogawa field instruments include flow meters, pressure and temperature transmitters, and safety measurement instrumentation.